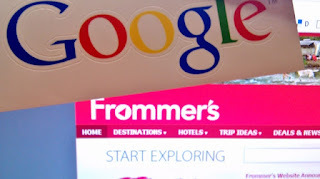 If there was ever any doubt about whether tourism and hospitality organizations need to step up their game as online publishers and content creators, much of that was erased today by the announcement that Google is acquiring the travel guide site Frommer’s. What does this mean for CVBs (Convention & Visitors Bureaus,) DMOs (Destination Marketing Organizations,) Tourist Boards and the hotel/lodging industry? Does it mean that Frommer’s content will be bumped to the top of SERPs (Search Engine Results Pages) in Google the way that Google+ content seems to be favored in their SERPs? Some have said that there are antitrust issues when Google tries to be both a search provider and a content provider. It’s most likely that Frommer’s content will get prominent placement in local search results, like Zagat’s now often are; remember that Google acquired Zagat in September 2011. Bottom line: Can CVBs/DMOs compete with the world’s #1 search engine combined with tons of travel content? because good destination marketers know their town and its wonderful stories better than anyone, including behemoth search engines and travel sites with content from a bunch of different writers. Even one, single person in a small town Chamber of Commerce or CVB has the online tools, authentic voice, enthusiasm and entrepreneurial spirit to make a run against anyone. Someone like, say, Kristy Vandegriff, who fearlessly launched the Jewett, Texas Chamber bloglast month in addition to her nice work for the Chamber on Facebook and Twitter. Someone like Brian Matson, who put Fargo, North Dakota/Moorhead, Minnesota on the online map by creating over 100 videos for the Fargo/Moorhead CVB YouTube channel and also made a big splash with the Woodchipper Facebook Page, based on a famous scene in the movie Fargo. One woman. One man. Moving mountains because they care enough to do so. There are also plenty of social networks that are not owned or controlled by Google, so build relationships with your visitors and guests on whichever ones make sense for your market, but keep in mind that it is fundamentally a risk to do that because you do not own or control anything on Facebook, Twitter, Pinterest, etc. They should be the “spokes” of your efforts, never the hub. Most of you also have something that Google andFrommer’s will never have: a brick-and-mortar Visitor’s/Welcome Center. 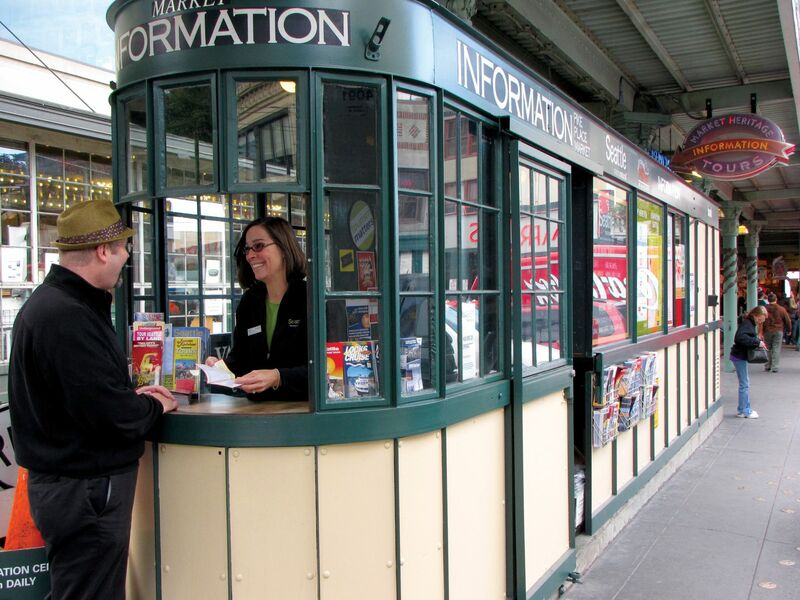 Even if it’s just a kiosk somewhere, like the Seattle CVB’s satellite stall in Pike Place Market, make the most of it! Arrange your Center so that when visitors stop by, they can easily sign up for your emails, “Like” your Facebook Page, get a Foursquare checkin special and follow you on Twitter on the spot, or via posted QR codes. Take their photo, be your in-the-flesh friendly, helpful self and smile, because you cannot be beaten at it by Google or a Frommer’s author. Action 2: Commit to being THE source of information and inspiration for your niche visitors. Do less of the Eat/Stay/Play, “We have something for everyone!” formulaic pabulum, and really crank up the heat telling people about your unique assets. Connect with those birders, history nuts, music lovers, foodies, quilters, railfans, gardeners – love on ‘em every chance you can get and be visible where they hang out online. Write helpful blog posts (with the keywords that they use to search – it’s “birders”, not “birdwatching,” for example.) Shoot helpful videos & optimize them for search using keyword-rich titles, descriptions and tags. Take lots of great photos and optimize those, too. YOU are the font of detailed, specific local knowledge, not Google. If you’re going to expend effort on search engines, focus on long tail search terms where you’re unbeatable. For example, unless you’re Hawaii or Florida, you will have a hard time staying atop search engine results for general “best beaches” keywords, but if you’re Port Aransas on the Texas Gulf Coast, you can dominate searches for “whooping cranes;” that’s your special niche since they winter near your town and nowhere else in the United States. Action 3: Commit to more social and less media on social media. Use social networks for, um, NETWORKING. Serve your visitors on them, build relationships and word-of-mouth momentum. Social media is a digital Visitor’s Center, not a digital bullhorn to pop up content at 10 am EST on Wednesday because some marketer told you that was the “optimal time.” Be more of a helpful digital concierge and less of a hawker. 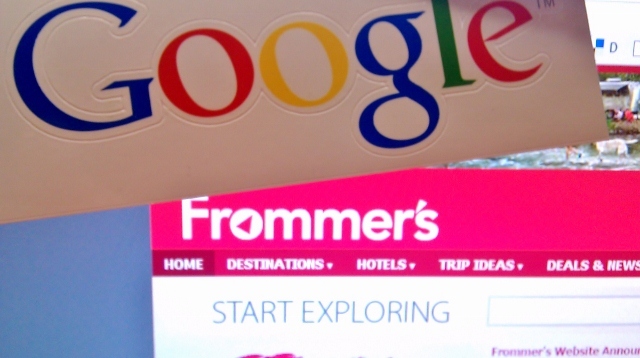 Google excels at search algorithms and Frommer’s has lots of content, but they are not human. You are. They cannot build love and loyalty for the people and experiences of a destination. You can. Action 4: Commit to being as visible as possible in mobile. Relationships will win in mobile (including SMS/text, which is heavily used by so many people and yet often foolishly ignored in mobile marketing discussions) because it’s a very personal experience to have someone access you in your purse or pocket. Big brands like Google and Facebook are all trying to figure it out, but do not be overawed by them. No one really has the answer yet, and many marketers are asleep at the wheel about the power of mobile, just like they were about the web in general and social media more recently. Don’t make the same mistake. The smaller, more nimble DMO has an advantage over those big companies all scrambling to “monetize” everyone’s mobile devices. Take a 10,000 foot view of your organization’s mobile presence – be the kind of helpful, friendly resource that visitors would welcome into their personal space. Contact Tourism Currents or visit their wonderful website.